My fascination with art started as a young child. It has now become a passion to express my emotions through my art. As far back as I can remember, I have always been drawing or painting. While painting, I feel fortunate and grateful to be able to spend my time doing something I love. I lose myself in the colours, textures and emotions each piece generates. My subject matter varies and my paintings are a combination of realism, impressionism and usually non specific. Beginning with a textured canvas and no preconceived plan, I experiment with shapes, inks, textures, bright colours and collage, which adds contrast and interest. I let the paint guide me and I encounter many surprises along the way. I am always striving to accomplish something new and exciting and it is always my hope that the viewer will pause and enjoy my work. Thérèse was born in rural Saskatchewan, and has lived in Calgary, Edmonton, and Vancouver. She now resides in Parksville, British Columbia. 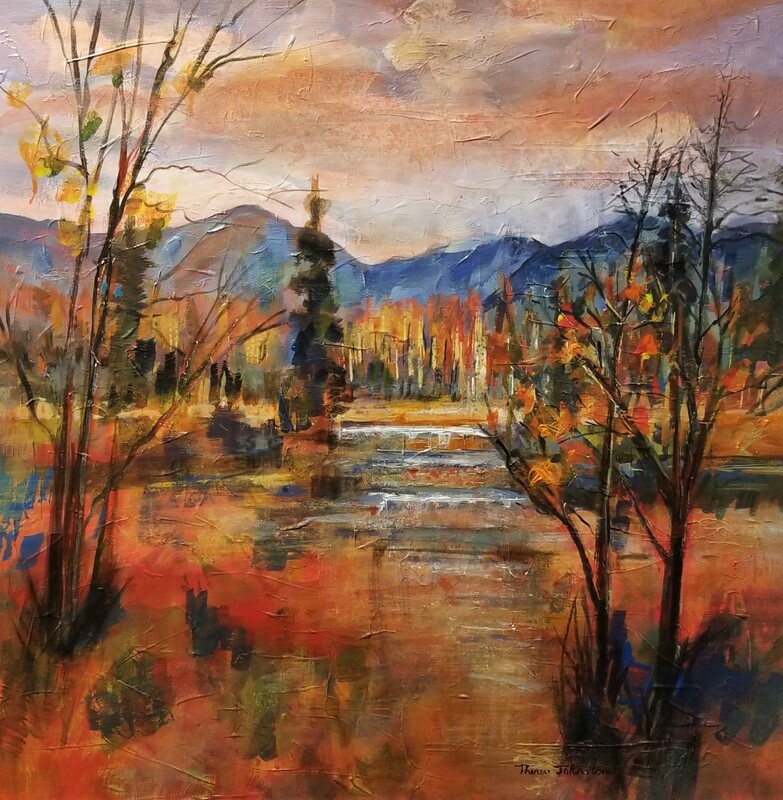 Thérèse holds a Bachelor of Education Degree (Arts Major), is a Signature Member of the Federation of Canadian Artists (AFCA) and the Society of Canadian Artist (SCA). 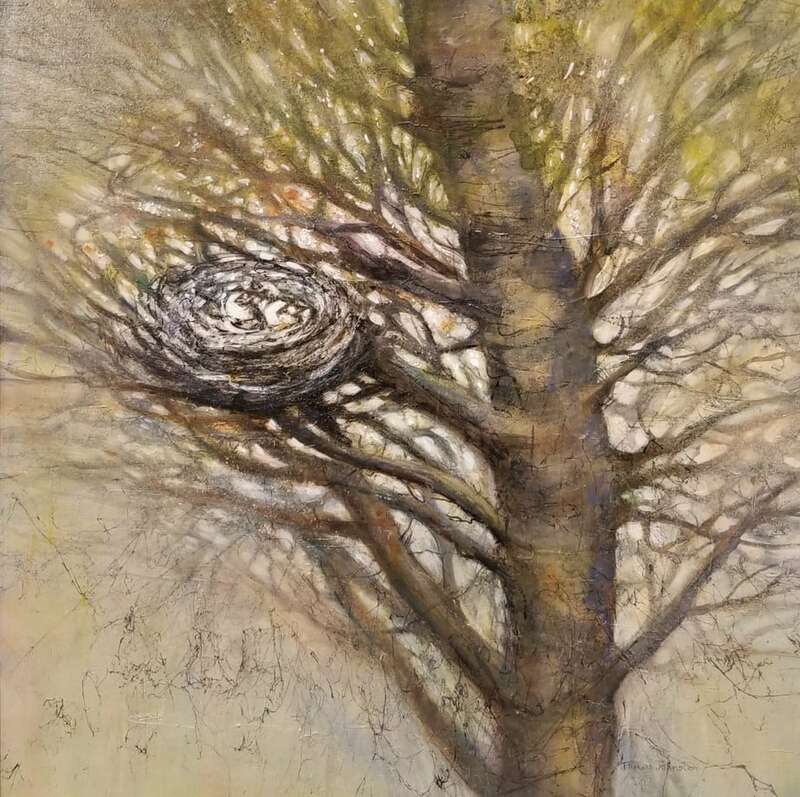 She has participated in numerous juried shows and has received multiple awards of Excellence and Honorable Mention.